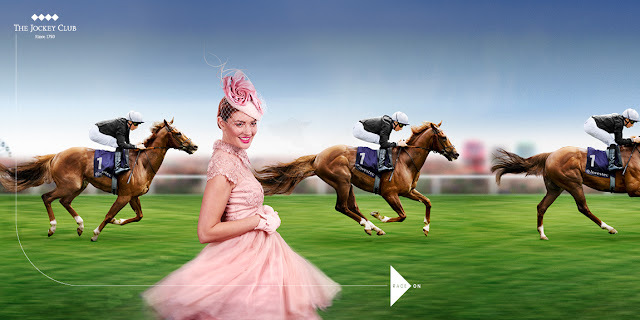 Friday 1st of June is officially Ladies Day, followed by Derby Day on Saturday 2nd. 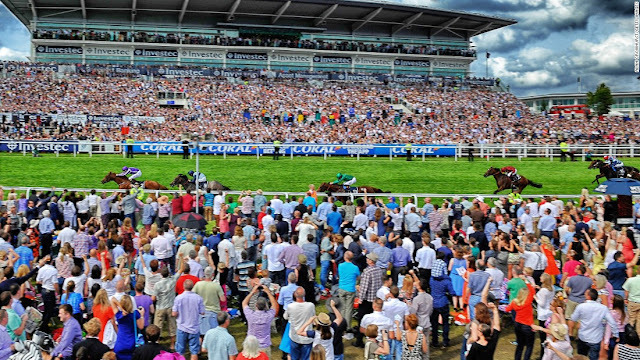 The two day affair, which attracts royalty, celebrities and horse racing aficionados, is one of the highlight occasions marked out in the British summer events calendar. 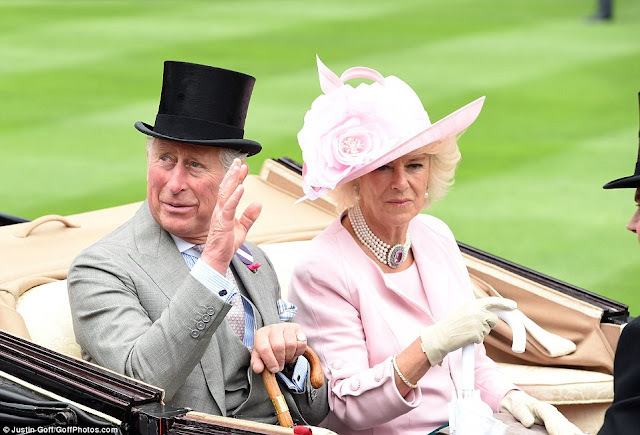 At this event you will follow in the footsteps of an assortment of royalty, celebrities and fashion icons, including of course the Beautiful Emilia Fox (face of the 2017 Derby) & Phillip Treacy. Not forgetting you will witness some of the finest racehorses in the world compete for glory which inevitably attracts extensive media coverage. 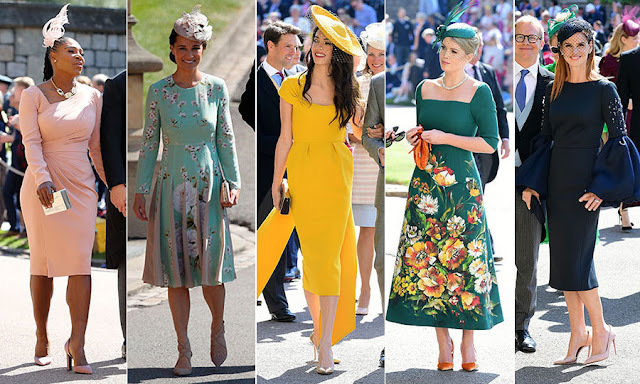 If you are attending the festival on Ladies Day, you will want to show some original flare, since making an effort might put you in the running for the coveted annual Style Award prize. 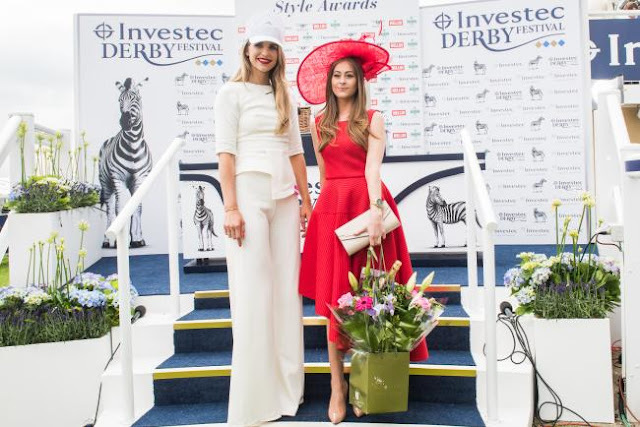 The annual style competition takes place on Ladies Day and ensures that the most fashionable racegoers descend on the Downs. This year, winning the best dressed accolade will mean taking home a set of prizes worth over £5000, including a year of Chi Chi London dresses, a two night stay at Petersham Hotel, a bespoke hat by Jessica Rae Millinery and £1000 cash. It's no secret that my favourite part of the Derby is the Fashion on display. and my eyes will firmly be on the Royals in attendance. 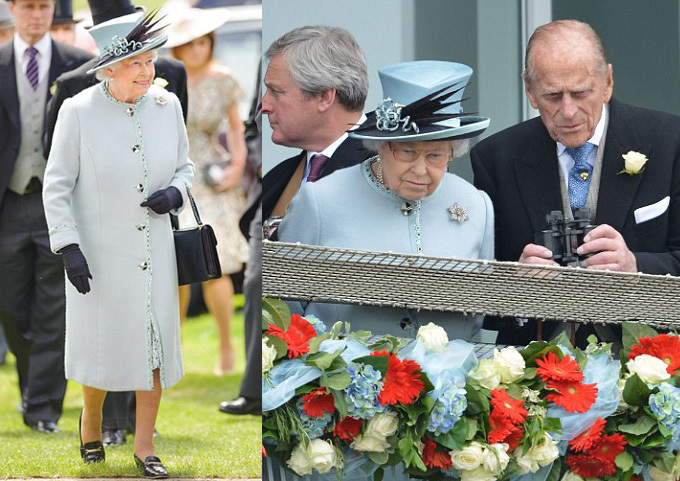 Notably Her Majesty the Queen and Prince Philip often chose colour coordinating outfits. 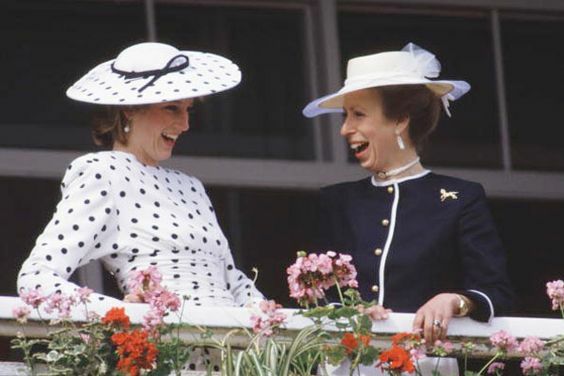 I am sure many of you will be pulling inspiration from the incredible fashion on display at the Royal Wedding. Unlike Royal Ascot, where the dress code guidelines are fairly strict, When it comes to the Epsom Derby there is no box to be confined within, as there are only a few, easy-to-abide-by rules, leaving lots of room for fashion interpretation. Those visiting the Queen's Stand for Derby Day will need to follow a stricter set of requirements. 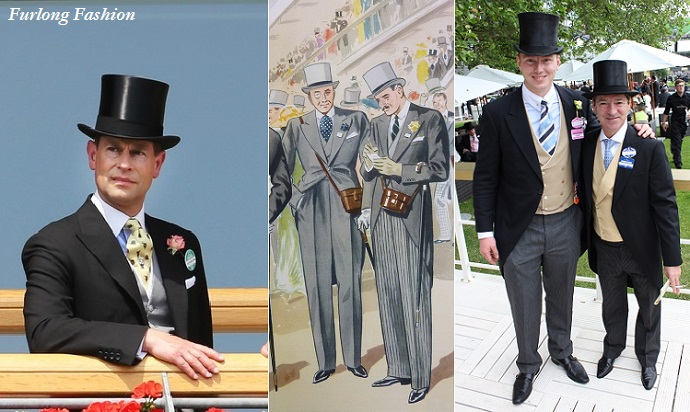 Ladies must wear a 'formal day dress' or trouser suit with a hat or a 'substantial fascinator', while gentlemen must wear either grey or black morning dress with a top hat, service dress or full national costume. In the Grandstand and Grandstand hospitality areas, however, the same rules apply as on Ladies Day. Whichever stand you'll be in make sure you have fun with what you are wearing and are comfortable. Make sure you take into consideration your body shape, before hitting the shops the Most 'in trend' outfit is not necessarily going to look the best. Here are some additional pointers to help ensure you nail the dress code. If you are vowing to win the coveted ladies day style award, keep in mind if you are planning on making an impression, judges often look for original and unique styles. Although accessories can make or break an outfit so make sure you don't go too crazy sometimes less is more so if your headpiece is simple opt for a statement necklace / bracelet / earrings but all of the three worn at once will be too over powering. The final thing to consider is how to wear your hair. It can be tricky enough when choosing a hat, let alone getting the right hairstyle to go with your head-wear. My top tip if you are not comfortable styling your own hair is to book in for a professional stylist to get your hair looking just perfect for the big event. They will talk to you about the look you want and we can create styles that are long-lasting and will complement your outfit. As is the case with the majority of formal dressing for men, it is the attention to detail that sets them apart from the crowd. 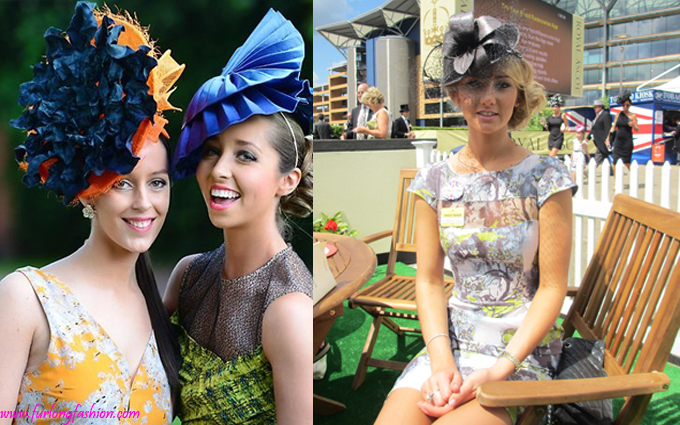 Men lack the choice that women have when attending the races. Morning suits are not compulsory throughout the whole of the course only in the queens stand. 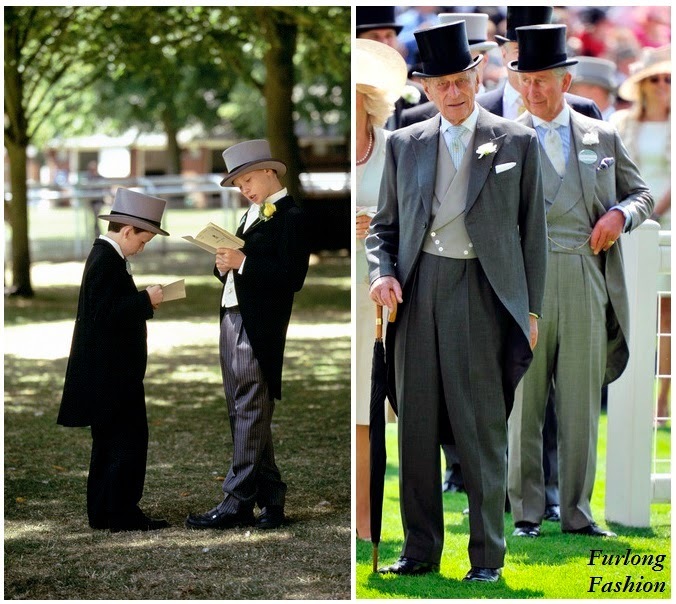 I do think that it is wonderful to see gentlemen engage in a tradition, and it makes the whole atmosphere a little more special. Because of this I will be concentrating on the morning dress on show at the Epsom Derby. The most popular variation of morning dress is the black tailcoat with plain grey or patterned trousers usually in a subtle check, stripe or hounds-tooth. The next most popular choice seems to be the grey tailcoat with matching trousers. Both look great it is just a matter of taste. The fit of the tailcoat and trousers is obviously the basis of a lovely outfit. Next we have the Top Hat, a fantastic piece of our history that is often done very poorly. Top Hats although still produced are not made with the same methods or material and the finished article is not a patch on the original. 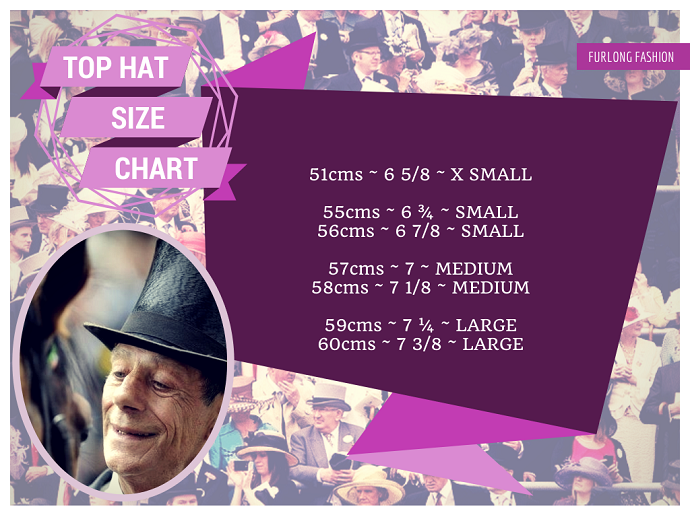 Vintage silk Top Hats are still readily available and there are many people that specialise on the internet. Silk Top Hats can vary significantly in price and is is usually the larger and rarer ones that can be worth many thousands of pounds, but in my eyes they are worth every penny. Then there is the shirt/tie/pocket square combination. There are limitless options available to a man when picking these three and it is really where a gentlemen can ensure they stand out from the next. I personally like to see a white collar with morning dress whether that be a plain white shirt or just white collar and cuffs on a coloured or patterned body. The key to success seems to be a well fitted waist coat, and as there are no stipulation in the dress code these can come in all different shape, size and colours, some of which are featured below. Lapel flower's are also seen as they add another nice touch of colour and should the choice of flower and colour should always compliment the colours in your outfit. Pocket watches and exquisite cufflinks are the finishing touch to any outfit. Unfortunately the weather forecast is a little disappointing, so please ensure you factor a coat and umbrella into your outfit choices. I am extremely excited for this years Epsom Derby as my Husband, Scott has a runner in the Epsom Dash for owners Mr & Mrs Radford, Mr & Mrs Chappel , Mr & Mrs Rose and Mr & Mrs Dixon. 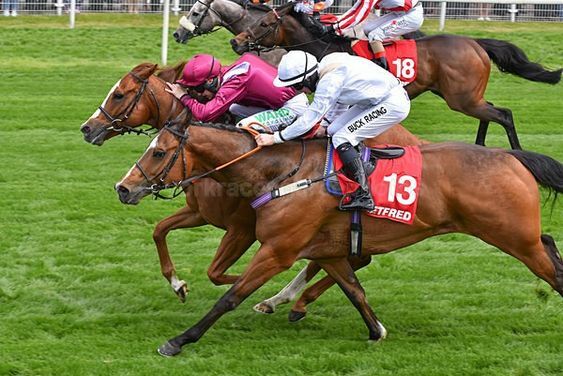 Dark Shot was narrowly beaten at York a couple of weeks ago so everything is crossed for a great performance on Saturday. 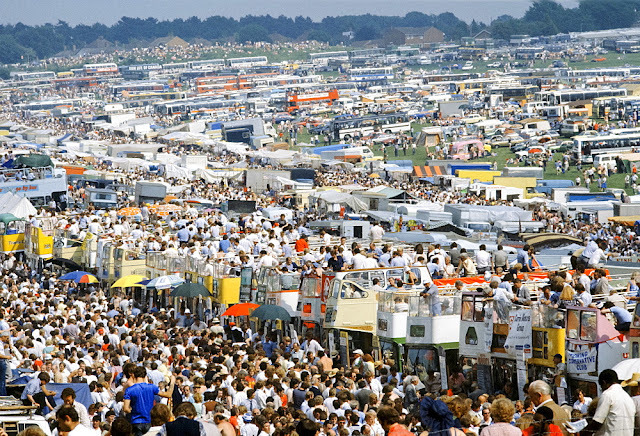 I am certain that the 2018 fashion on the Downs will live up to the 'Sport of Kings' and Queens. 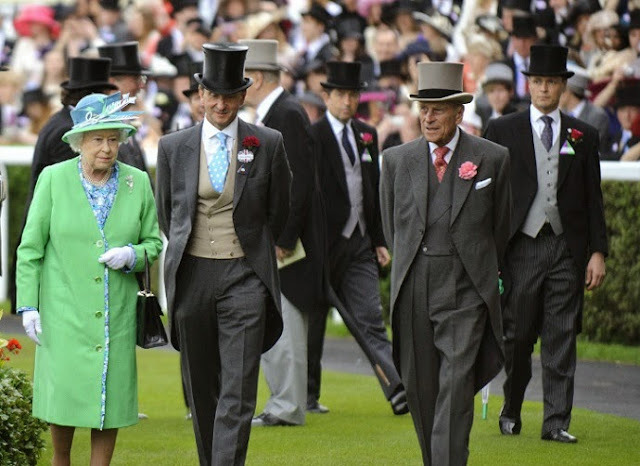 With Royal Ascot only weeks away one can only imagine what that will bring. 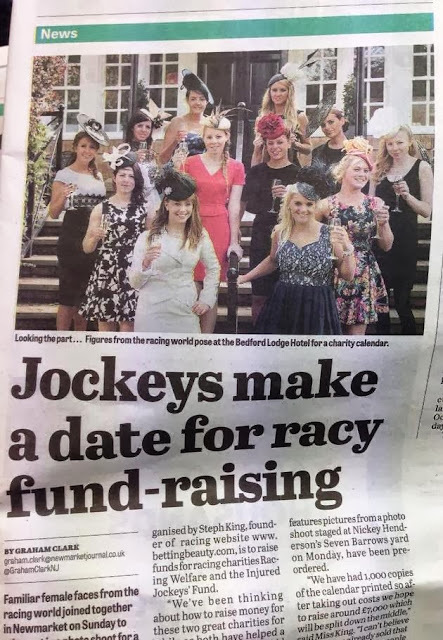 But rest assured, it is likely to bring an eclectic mix of well-dressed Ladies and Gentlemen keen to be successful in both the betting and the style stakes. Will you be at the Derby? What will you be wearing? Share your thoughts with us in the comments box below.